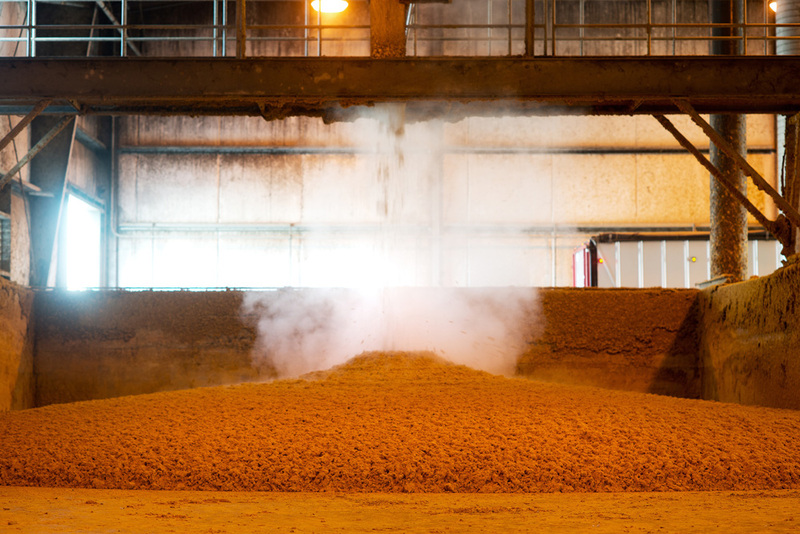 A nutritious feed product, wet distillers grain (WDG) is a high-value by-product of the ethanol process. Pacific Ethanol’s biofineries are intentionally located in regions with large dairies and feedlots to facilitate the sale of WDG. Pacific Ethanol, the largest ethanol fuel manufacturer on the West Coast, is making a case for biofuel. 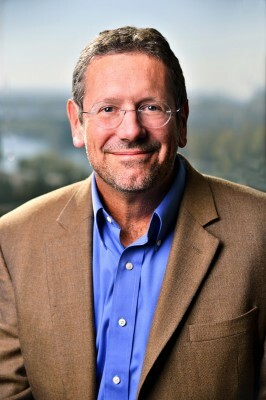 Neil Koehler, the company’s founder, explains how the industry has changed and why his company is positioned to capitalize on future opportunities. How did you get into the ethanol industry? Neil Koehler: I’ve been a passionate and focused ethanol advocate and industry leader since graduating from college in 1981. I majored in political science with an emphasis on energy policy. I had traveled to the Middle East and was alarmed by the crude-oil complex and our oil addiction, and the danger that came with that, environmentally and economically. I wanted to do something about it. I started at the Department of Food and Agriculture in California, helping farmers produce renewable energy, the largest component of which was on-farm ethanol production. I cofounded California’s first ethanol-production company in 1984, when the industry was just getting started nationally. We used waste products from the food and beverage industry to produce ethanol. That was the frontier, correct? The industry was just getting started? Koehler: Yes. We sold that business in 1998, I ran it for a couple more years, then in 2000 I founded Kinergy Marketing, an ethanol distributor that still exists as a wholly owned subsidiary of Pacific Ethanol. The business was in the right place at the right time. California had just become the first state to phase out the use of tertiary butyl methyl ether in its gasoline, because it was contaminating groundwater, so ethanol transformed from a niche product to a product that was in every gallon of gas. The industry experienced incredible growth. Kinergy itself started as a $15 million company and three years later had grown to $100 million. There was clearly a great opportunity to build world-scale ethanol production in California. How did Pacific Ethanol come into being? Koehler: That environment was the genesis of Pacific Ethanol, which I cofounded in 2003 with Bill Jones, former secretary of state of California, who is also a farmer and rancher in California’s central valley. He had the same vision I did. It has been a passion in my life to do something meaningful, economically and environmentally, by bringing a clean-burning fuel to the market. And we did it. Ethanol is now in 10 percent of every gallon of gas in the United States, and there’s no other alternative source of energy that has made that kind of impact. I see us growing from here. Why does the industry seem to have so many ups and downs? Koehler: Ethanol is a $40 billion business in the United States, but in relation to the overall fuel market, it’s relatively immature. As with any commodity business, it has booms and busts. We had steady growth, and then new standards in 2005 and 2007 mandated the use of renewable fuels, which led to exuberance. The industry over-responded and over-built, so we had a major bust in 2008 and 2009, when there was just too much capacity. The future demand was coming, but it wasn’t quite there, and 40 percent of the industry basically went bankrupt. I think it’s a testament to our model that we survived those very dark days. The trend then was to reconsolidate, and eventually new players came into the market. By 2013, most plants were running at 90 percent-plus capacity. And we’re now in a position to thrive. Was there also a political component? Koehler: Definitely. We’ve become so relevant, we’re a little disruptive to the vested interest, namely the oil industry. Some of the large livestock guys, as well, would like to buy corn two or three dollars a bushel less than a farmer can produce it for, so they trump up this food versus fuel nonsense. But there’s plenty of corn for everyone, and ethanol has actually assisted the agriculture industry by helping it survive without subsidies. We get tarred and feathered by a multimillion dollar propaganda machine that is saying things about ethanol that are frankly just false. We’ve dispelled the myths a million times, but they just keep coming back. People ask why we need mandates, and that’s why—because oil has 100 percent market share, and consumers don’t have a choice at the pump. What will it take to achieve oil independence? Koehler: To be oil-independent, we need every fuel that looks viable. Ethanol has been a significant contributor, and biodiesel and natural gas are making inroads. So are electrical vehicles in urban areas where commutes work. Oil will have a role to play; I don’t see it being completely eliminated. But I think the first step is limiting imports.